My friend Seana from class asked if I was interested in freelance work. I went with her today. 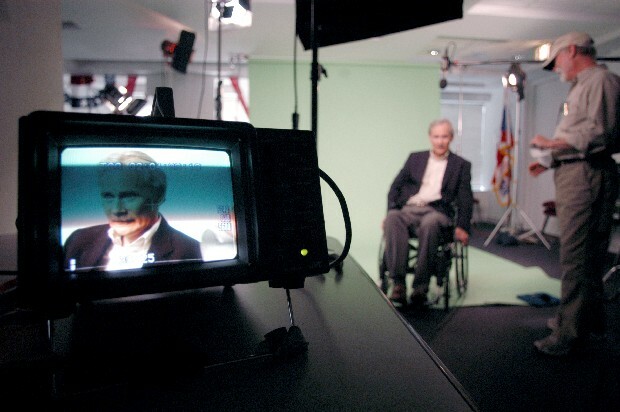 We helped make a Paralyzed Veterans of America television commercial. This photo is one of the gentelemen from the PVA going over his lines for the commercial. Thank you Seana ... what a unique opportunity.